welcomes Château Chambert-Marbuzet , Saint-Estèphe Proprietor Henri Duboscq for a wonderful wine dinner featuring Haut-Marbuzet vineyards 6:30 p.m., Thursday, June 5. 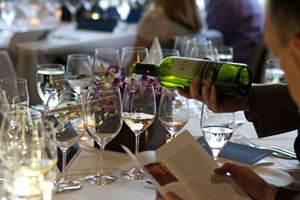 The six course menu with wines costs $110 per person (excluding tax and gratuity). The event is supported by Chicago Gourmets and Eagle Eye Brands. Reservations may be made by calling 847-864-3435. 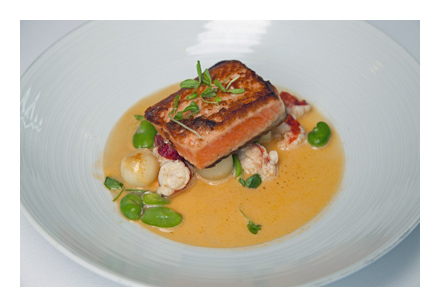 Chef/owner Mark Grosz has prepared a stellar meal with extraordinary wine pairings. Vintner Henri Duboscq will discuss tasting notes of each wine. In addition to the Oceanique family, the hosts include Chicago Gourmets’s Jean-Jacques Fertal and Don Newcomb. From 1982 to 1990, Haut Marbuzet was on top of their game as they produced outstanding Bordeaux wine. The wines which showed well young were opulent, lush, oaky and filled with soft, ripe fruit. And the best thing was, they were always fairly priced. 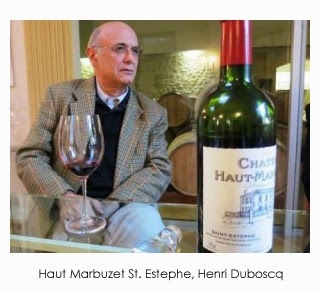 Haut Marbuzet has a long history in the St. Estephe appellation. The chateau found the inspiration for their name from the sector they reside in, Marbuzet. Haut Marbuzet was established by Alexander de Segur, who owned a myriad of Bordeaux wine properties. At his death, the land was divided and sold. In fact a portion of the vineyards became a part of Le Crock. In 1825, the land was purchased by the MacCarthy family, who officially established what became Haut Marbuzet. The interesting Duboscq family owns the estate today. Herve Duboscq may have been illiterate until he was at least nine, but he was shrewd. He built the estate from 17 acres into 143 acres over time. In 1962 Herve was joined by his son Henri, who now manages the estate today with his two sons. In 1770, the Marbuzet vineyards were part of the considerable hereditary estate, which Sylvester Fatin left for his two daughters. In 1825, the vineyards became the property of the Mac-Carthy family, descendants of Irish Jacobean emigrants. In 1848, as a result of a serious concerning succession, the Mac-Carthy heirs sold the estate in parcels. A hundred years later, in 1952, Hervé Duboscq becomes the owner of a plot of seven hectares called Château HAUT-MARBUZET. He resurrects the vineyard again and gives rise to a wine of its own style, which immediately charms many experts. In 1962, his son Henri joins him in order to help him reach the only goal, which is precious to the Duboscqs, the “Glory of Haut-Marbuzet”. After buying the neighboring vineyards, as well as pockets, which were originally the results of the Mac Carthy’s parceling out, the vineyard attains an area of 55 hectares in 1994. At the same time, the Duboscqs bought the Château Chambert-Marbuzet, Tour de Marbuzet and Mac-Carthy. All three crus are Bourgeois of Saint-Estephe. Initially listed among the Cru Bourgeois in 1932, and later promoted Grand Bourgeois Exceptionnel in 1978, the estate was classified as one of 9 Crus Bourgeois Exceptionnels in the 2003 official listing. Oceanique, celebrating its 25th anniversary in 2014, is one of the Chicago area’s finest and most acclaimed restaurants, serving contemporary French-American cuisine in a beautiful, new dining room. 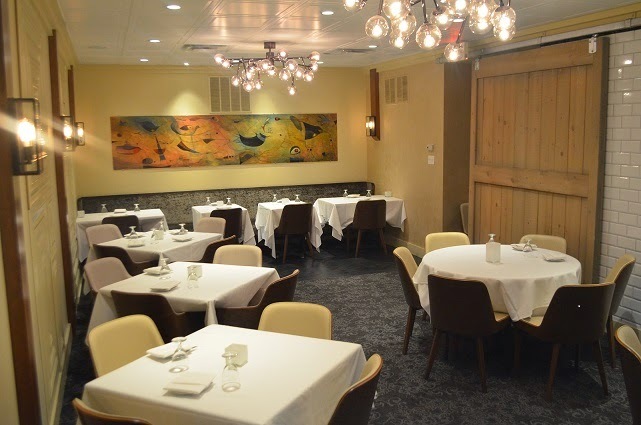 The restaurant is owned by Chef Mark Grosz and his wife, Renée André. The Pastry Chef is Abel Garcia and the Wine Director is Philippe André. The bar area has been expanded and features a new small plates menu to accompany the fine selection of wines, craft beers and artisan cocktails. Guests are encouraged to enjoy a casual meal in the bar area or enjoy the full à la carte and dégustation menus in the dining room. The bar even includes a communal table to encourage single dining or groups. Let the games begin! 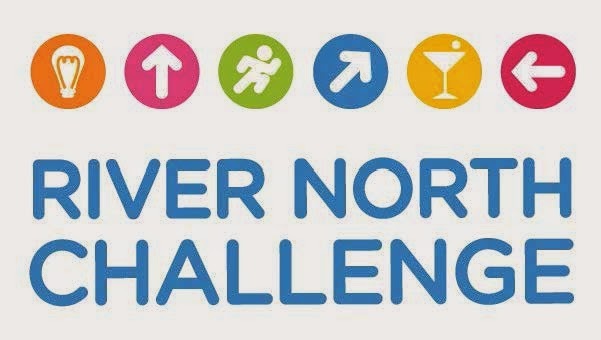 Competitors are eagerly forming teams to compete in the 5th Annual River North Challenge hosted by the River North Business Association June 24. 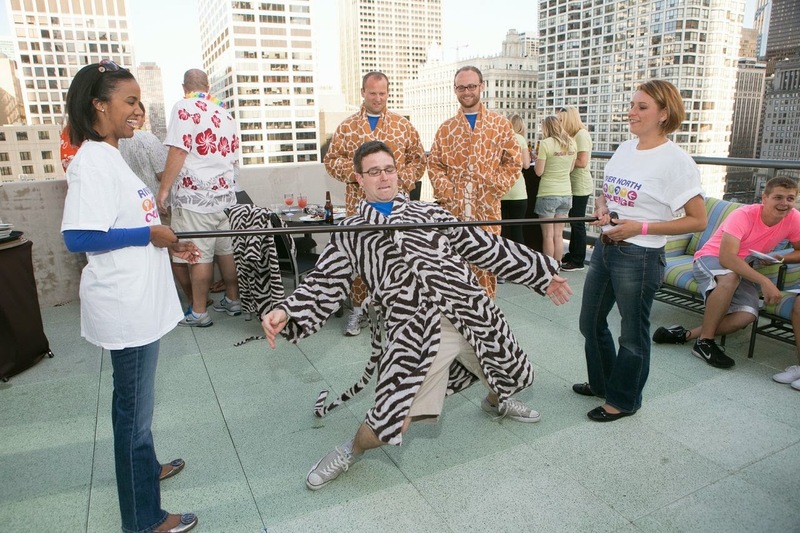 Teams will spend a memorable evening adventuring through River North hotels, partaking in mental and physical challenges. Each check point presents a new challenge, when accomplished earning competitors “challenge points” towards a grand prize as well as a stamp on their “passport”. A team’s overall point sum, completed passport and the accuracy of their challenge answers will ultimately determine this year’s River North Challenge winner! The locations along the River North Challenge will keep you fueled for success. 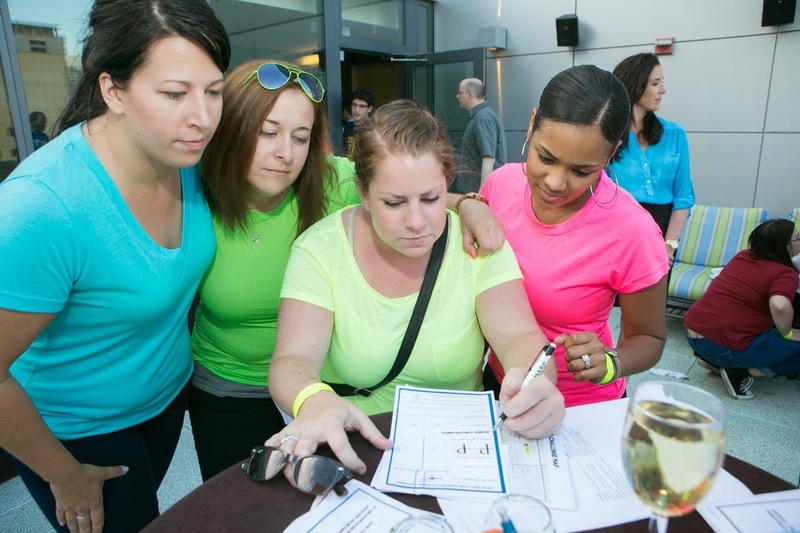 This event, which delivers in the fun and games department, is accompanied by complimentary food and beverages at River North’s favorite destinations -- Challenge Stops. Each Challenge Stop presents teams with the choice of an active challenge, mental challenge or both to gain maximum points. Upon completion of each challenge the team will be provided with the location of their next challenge. Bonus Checkpoints along the journey will provide competitors with additional opportunities to increase point totals. Start getting your team together because you won’t want to miss out on these prizes. 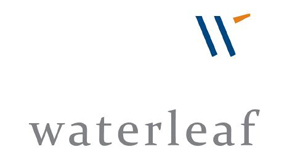 The winning team will take home a tremendous prize package from the Businesses of River North. All event participants also will be entered in a Door Prize Drawing to further their chances of taking home great prizes such as gift certificates from restaurants, bars, hotels and spa packages. Teams are encouraged to wear costumes and uniforms, or design their look around a team theme. Go big or go home, because the teams with the most creative attire will win big! Upon completion of the challenge, enjoy the River North Challenge After Party at Cantina Laredo. While waiting for the Challenge winners to be announced, competitors can relax with food and beverages. Register as a team of four for $150 or purchase a Single ticket for $40 and be placed on a team. Food and beverage will also be provided at each major hotel stop. Registration takes place at the Holiday Inn Chicago Mart Plaza beginning at 5:30 pm. The Challenge takes place from 6 p.m. to 8:30 p.m. and is followed by the after party at the Cantina Laredo at 8:30 p.m. June 24. River North Challenge is presented Comcast Business Services and brought to you by the River North Business Association. Registration Sponsor is Holiday Inn Chicago Mart Plaza and After Party Sponsor is Cantina Laredo. Hotels involved in the event include Aloft City Center, Residence Inn, Springhill Suites, Fairfield Inn and Suites, Hampton Inn and Suites, Homewood Suites and Hyatt Place. For questions call the River North Business Associations at 312-645-1047.
learn that Executive Chef Josh Jones has developed a delicious new package that is designed for the barbecue. 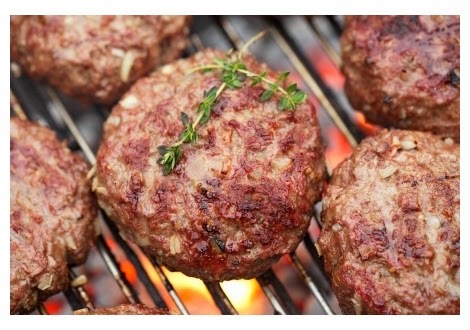 The BBQ package is a treat for gourmet burger lovers, featuring ground short rib burgers, bacon and onion jam, brioche buns, aged cheddar cheese, lettuce & tomato, whole grain mustard cole slaw, and fingerling potato salad. The package is priced at $13 per serving. The first BBQ package will be delivered to customers on Friday, May 23, just in time for Memorial Day weekend. Customers must order their BBQ meal kits by Tuesday, May 20. Madison & Rayne has built a growing throng of regular customers in the Chicago area by offering a rotating, seasonal menu of delicious meal kits that include all the ingredients, fully prepped and ready to cook at home. Customers visit the website, www.madisonandrayne.com, peruse the menu and choose their meals and order online. Sides and desserts are available in addition to the entrées. The meals are designed with food lovers in mind; they are restaurant quality and portions are generous. The process is very convenient. Customers must order their meals for the coming week by Saturday, and Madison & Rayne delivers the kits the following Tuesday directly to customers’ homes. Complete step-by-step directions are included. 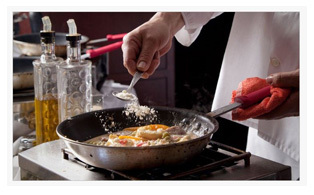 Meal preparation time takes between 15 and 30 minutes from start to finish. “It’s always fun for us to develop new meals, based on what’s freshly in season,” said Chef Jones. “We keep it interesting with new tastes and flavor combinations, but we also make sure to have a standard selection of customer favorites on the menu.” Gluten-free options are available upon request. For more information about Madison and Rayne, please visit the website at www.madisonandrayne.com. Restaurant Week fans take note. There’s a new Restaurant Week in town sponsored by Loire Valley Wines and Evanston’s Oceanique (505 Main St, Evanston, IL 60202 ) is onboard with a fabulous $30 per person (excluding tax and tip) 3-course special that includes wine choices of either a glass of Sparkling Vouvray or a glass of Chinon - Cabernet Franc. Reservations may be made by calling Oceanique at 847-864-3435 or by visiting its website at www.oceanique.com. Restaurant Week runs through May 24. May 10 is National Shrimp Day. Don’t Miss Da Lobsta’s Shrimp Roll Deal. Did you know that Americans eat more shrimp than any other seafood, beating out even salmon and canned tuna in popularity? 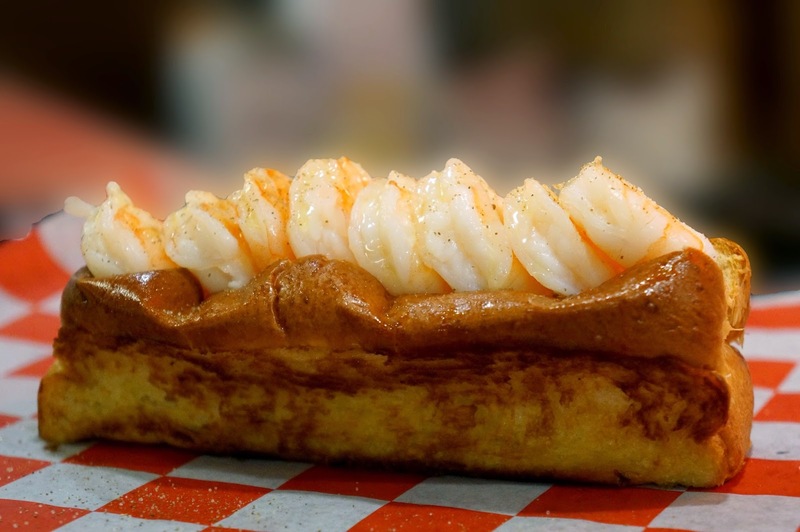 It isn’t surprising that Da Lobsta’s second most popular rolls are ones filled with shrimp. Have you tried? Here’s an offer you can’t refuse, enjoy a delicious Shrimp Da Lobsta Roll at either Chicago Da Lobsta Location on May 10. They’re offering it for $6.95 all day, a $2 savings. Da Lobsta is located at 12 E. Cedar in Chicago’s Gold Coast and at 131 N. Clinton at the Chicago French Market. Degerberg Academy of Martial Arts will present a Brazilian Jiu Jitsu Seminar 7 p.m. to 8 p.m. Friday, May 9 and 12 noon to 3 p.m. Saturday, May 10. The seminar will be taught by 4th degree BJJ Black Belt and 5 time BJJ World Champion Robson Moura. The seminar takes place at Degerberg Academy, 3596 N. Milwaukee Ave. The cost for attending is $30 in advance, $40 at the door for Friday’s 1-hour session and $80 in advance, $95 at the door for Saturday’s 3-hour session. Call 773-728-5300 to register in advance. Participants are required to wear Jiu Jitsu Gi. Robson “Robinho” Moura is a 4th degree black belt in Brazilian Jiu-Jitsu and a 8X World Champion. He is from Teresopolis (a small town in the mountains of Rio de Janeiro, Brazil), and currently resides in Tampa, FL. where he established The Robson Moura Brazilian Jiu Jitsu Academy. Robson has been competing in BJJ competitions since the age of 13. With an excellent martial philosophy, hard working style and love of the game, he is among the greatest of the world’s Jiu-Jitsu players. Robson holds his black belt in Brazilian Jiu-Jitsu under world renowned Master Andre Pederneiras. Robson attained the rank of 1st degree black belt at the age of 18 under Andre! The History of Robson “Robinho” Moura. The sport history of this ‘Carioca’ begins in 1988 at the age of 10 when he started training Jiu Jitsu in his hometown of Teresopolis (a small town in the mountains of Rio de Janeiro, Brazil). His first Brazilian Jiu-Jitsu teacher was Jucao. Robinho was supported and encouraged by his family, especially his father. Robhino quickly grew his skills, becoming a champion of many competitions, and collecting a number of regional titles. When his instructor Jucao moved to Rio, Robson started training under Master Andre Pederneiras and Wendel from their elite team. He continued to grow his skills and abilities, achieving national and international titles, becoming very well respected and esteemed. He is considered to have a very proficient and competitive way of fighting. By 18 Robson had achieved his greatest dream by becoming a Black Belt and today his is one of the most valued players in Brazilian Jiu-Jitsu. The Degerberg Academy of Martial Arts, founded in 1980 by Grand Master Fred Degerberg and his beloved wife of 32 years, Katie Degerberg, is one of the world’s most famed schools of martial arts. The Academy offers daytime and evening classes Monday through Saturday for children and adults. Disciplines taught include Jiu Jitsu, Karate, Muay Thai, Kickboxing, Savate, Kali Silat and Jun Fan Jeet Kune Do. Classes in Mixed Martial Arts and XTreme Fitness combine techniques from several of these disciplines to build all-around fitness and martial arts skill. DAMA’s most popular and effective experience is the Degerberg Blend of Martial and Fighting Arts, a hybrid self-defense lifestyle that incorporates the best of more than 300 styles for the participants’ enjoyment. Classes are available for children ages 3-7; 8-13 and adults from teens to 90s. Classes are ranked by skill level, beginners, beginners-intermediate, intermediate, intermediate-advanced and advanced. DAMA hosts monthly seminars in a variety of martial arts, yoga and fitness with their instructors and guest instructors from all over the world. Students range from moms and dads, to tech, engineers, lawyers, doctors, architects, actors, carpenters, electricians, policemen, firemen, etc. There are two locations: 4717 N. Lincoln Avenue in Lincoln Square, Chicago, IL 60625 (telephone: 773-728-5300) and 3600 N. Milwaukee Avenue in Old Irving Park, Chicago, IL 60641 (telephone: 773-545-3423). For more information about the Academy, its programs and instructors, please call or visit the website, www.degerbergacademy.com. Big Chef Burgers, the new gourmet burger and pizza restaurant at 1602 E. Algonquin Rd. in Schaumburg from acclaimed chef Cristiano Bassani, is making Mother's Day a special treat for Moms, and they're keeping it simple: Moms enjoy complimentary food and beverages on Mother's Day, Sunday, May 11. "Just show Big Chef Burgers that you're a Mom, and the meal is on us. You've earned it, so come and enjoy it," said Bassani. "Introduce us to your kids, show us a photo, or play a voice message from your kids. Even if you come to Big Chef Burgers alone, if you're a Mom, it's on us." Big Chef Burgers is a casual and relaxed full-service restaurant serving gourmet burgers and artisan Neapolitan pizza and homemade gelato shakes and malts, plus tasty salads and luscious desserts. The full bar features a creative selection of specialty cocktails, "adult" milkshakes, wines and craft beers. Big Chef Burgers is open from 11 a.m. to 10 p.m. every day. There is ample free parking. 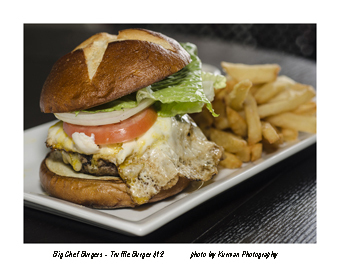 For more information, please call Big Chef Burgers at (847) 221-8539 or visit the website at www.bigchefburgers.com. Maxwell's at the Club, located in the East Bank Club at 500 N. Kingsbury St. (telephone: 312-527-5800, ext. 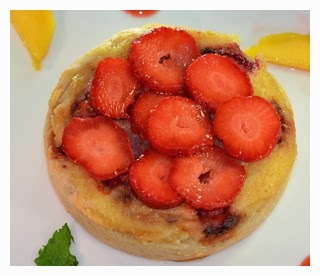 301), will present its elegant annual Mother's Day Brunch on Sunday, May 11 from 10 a.m. to 3 p.m. The extensive buffet, which is open to the public, will feature prime rib and roast turkey carving stations, an omelet bar, a waffle bar, assorted pastries and seasonal berries, as well as a variety of appetizers, salads and entrées. The entire family will enjoy the festivities. Because Maxwell's Mother's Day Brunch is very popular, reservations are necessary. 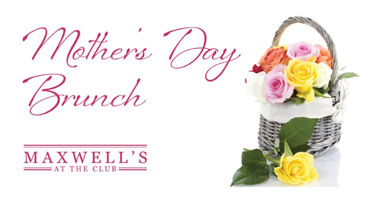 "On Mother's Day, Maxwell's continues its tradition of serving a beautiful brunch feast that is always festive and extraordinary, and we're looking forward to greeting every Mom on this special day," said Mike Romano, Food and Beverage Director for the East Bank Club.